And what a year it was! 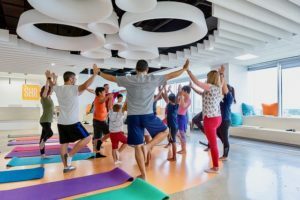 2018 was packed with client and partner happenings, as well as new products and innovations. Now that the holidays are behind us, and with so much to be thankful for, it’s time to take a deeper look at the milestones chronicled for our followers on LinkedIn. New Booking Engine Features. SHR clients also began enjoying several new Windsurfer booking engine features, including Registered Guest Reports, which makes it possible to pull reports at hotel level or chain level, helping Enterprise clients gain a deeper understanding of who their registered guests are and their stay history to better serve those guests. The Rate & Availability Calendar allows the guest to see availability restrictions more clearly, and can be combined to show daily rates within the calendar. This saves time and increases booking likelihood with a single page where guests can select or change different attributes to their search without having to open a new screen. With Reduced Clicks to Book enabled in Windsurfer, hotels can streamline the booking process, allowing guests to book their stay much more quickly. This feature was designed to reduce the number of clicks it takes for a guest to book a hotel room from the time they land on the booking engine, cutting booking time up to 50%. Rainmaker RMS guestrev®. Hotel properties that utilize both guestrev and Windsurfer started to enjoy the ability to see Daily Rates, overbooking (at the property level or room type level), and Open/Close to Stay-Through within the CRS, instead of waiting for their PMS to relay the same data. 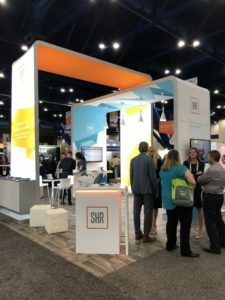 “This integration allows our mutual clients to more seamlessly deploy their revenue strategy across distribution channels, and significantly reduces their manual processes,” said Nicole Adair, Corporate Director of Revenue Management for SHR. And by sending pricing recommendations directly to Windsurfer, properties now have the ability to access strategic information as they make pricing decisions. Among our new clients for 2018, SHR welcomed GreenTree Inn. GreenTree Hospitality, the U.S. arm of GreenTree Inn, made the move to SHR in an effort to find a technology solution that could grow with their business. Like many SHR clients, they needed distribution that was customer service-centric, and yet could offer their franchisees a cost-effective solution for operating their hotels while increasing their digital presence. SHR also welcomed the beautiful Ocean Resort Casino, as well as IDM Hospitality Management, and Genesis Hospitality. AAHOACON 2018. Hale was also asked to co-host a special break-out session at the annual convention and trade show put on by AAHOA in March. As the largest hotel owners association in the world with more than 18,000 members, AAHOA works to advance and protect hotel business interests. “Considering how aligned SHR’s values are with AAHOA’s, I was honored when asked to participate,” said Hale. “To be able to provide practical information to hoteliers in such a fun and unique way was just icing on the cake.” The special interactive session followed a creative game show format specifically geared toward independent hoteliers. HITEC/ROC Houston 2018. How often do two of the biggest hospitality tech shows of the year land right in your own backyard? For both events, SHR dove into the action, conducting product demos and showing a whole new wave of hoteliers why SHR products and services continue to be the top choice for hotel distribution the world over. 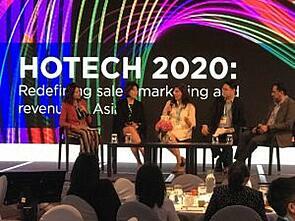 The SHR team, including Europe and APAC, were all on-hand at HITEC, answering hoteliers’ most pressing distribution questions, sharing industry knowledge, and insider viewpoints on the future of hospitality technology. The meeting rooms were full, and our HITEC party hosted 120+ people. HIC Evening Camps. EU hoteliers discovered all that Hospitality Industry Club EveningCamps can offer, including friendship, education, and networking. These free roadshow events featured industry experts and great hoteliers, plus the SHR and HIC teams, all on hand to exchange experiences in a unique and fun bar-camp style. Attendees could choose from multiple cities including Stockholm, Copenhagen, Barcelona, Madrid, and Dublin. The camps proved so popular, SHR and HIC are doing it all again, and offering even more cities throughout 2019. You’re Not a Number. Inspired by SHR client Wendy Norris of Valencia Group’s summing up of the company’s customer service philosophy, “You’re Not a Number” became the client and employee mantra for 2018, and beyond. 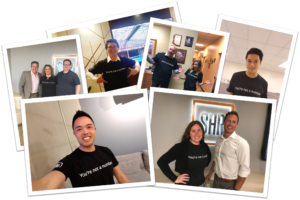 SHR’s dedication to personal client support and to hiring hoteliers was brought into focus, with associates and clients alike proudly donning the declarative shirts, snapping selfie after selfie in their support and recognition. The Hotel Tech Podcast. Seeking to answer its clients’ needs for more and better industry information, SHR launched its Hotel Tech Podcast series. This fresh feature showcases SHR’s Estella Hale and Glenn Hausmann (of No Vacancy fame) hosting a revolving panel of today’s sharpest hospitality tech minds, including actual hoteliers. 2018 saw the first ten shows laced with hotel luminaries such as Greg Mount of Red Lion Hotels and Chuck Valentino of Vagabond Inn. Since its inception, it has become a popular feature with clients and guests alike, with one of the highlights being SHR’s first live podcast from New York City, New York. To listen, go to The Hotel Tech Podcast page. For your mobile device, check out iTunes, Stitcher, or Google Play under Glenn Haussman’s No Vacancy Podcast. Take Your Kids to Work Day. SHR believes that sharing a positive work environment with the next generation is not only fun, but essential. 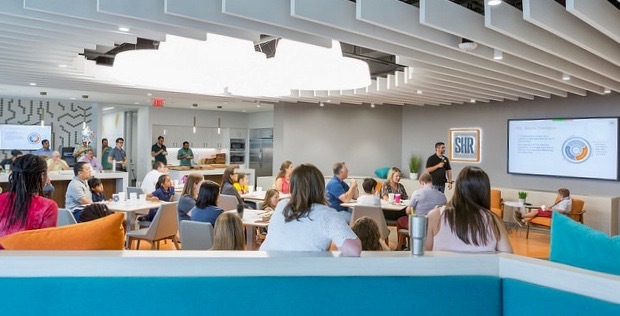 This day was dedicated to that belief, and saw about 25 of our associates’ children do a virtual take-over of the Houston offices. For highlights of the day, and the always-unpredictable, spontaneous responses of our future SHRoosers, be sure to check out their very own video. Back-to-School Supply Drive. With the generous help of the Houston Food Bank, SHR completed its second year of rounding up school supplies for local children. All told, 80lbs of classroom essentials, were collected from SHR associates and distributed by the Food Bank to kids in need. Adopt a Family. 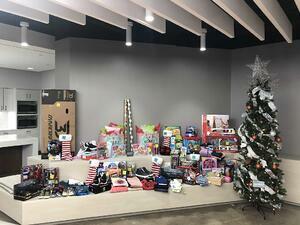 This is the third year the company has been privileged to adopt families through Houston Children’s Charity. This time around, SHR was paired with two households in serious need of some Christmas cheer and tangible holiday magic. SHR employees donated a healthy array of gifts, including toys, housewares, and clothing, all delivered by SHR directly to the families. With 2018 behind us, we look forward to all the exciting challenges the New Year will bring. A sincere thank you to our hotel clients for all you do. As we have said before and will continue to say, the truth is without you, there simply is no us. Here’s to a bright 2019, and to shaping the future of hospitality—together.